Tomas David HoodTomas David Hood SoundClick.com site, for more in-depth artist information. Tomas is a member of the Songwriters Guild of America, and the Nashville Songwriters Association International. Tomas is actively pursuing music both as a solo artist, and as a songwriter hoping to be published. Tomas started playing music in the early 1970s. However, it was not until 1979 that Tomas became dedicated to learning the guitar. In the 1980s and 1990s, Tomas was a radio DJ and a radio station technician/engineer. Tomas also worked as a sound engineer for live venues, and was part of a musical team, where Tomas played rhythm guitar and occasional drums. After 2000, Tomas became highly dedicated to songwriting. In 2007, Tomas decided to become a professional songwriter as well as a performing artist. 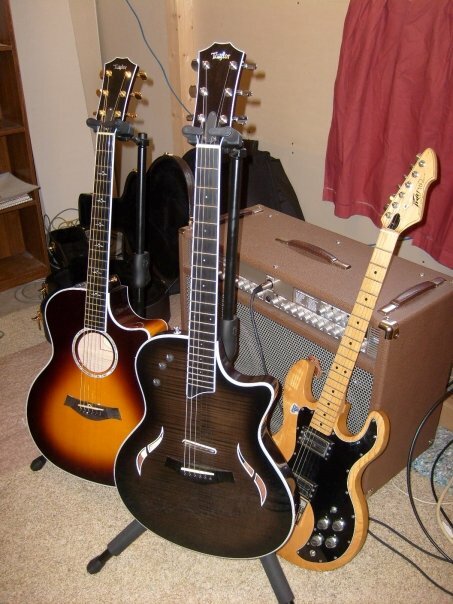 Tomas plays a Peavey T-60 electric guitar, and two Taylor acoustic/electric guitars, the 614ce and the T-5. Tomas uses Line6 and Genz Benz equipment.